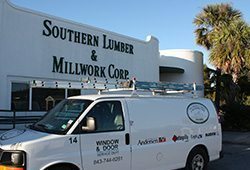 Even the finest window and door products require service and maintenance. You can feel safe with our service technician that has over 15 years of experience. Whether you are replacing a window unit or just a piece of broken glass, our service department has all the tools required to complete the task.